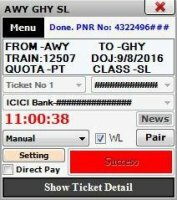 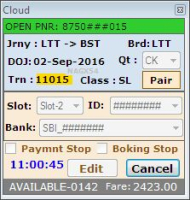 We provide Software for online Tatkal Ticket Booking . 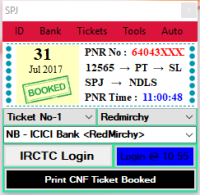 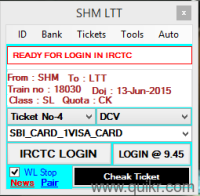 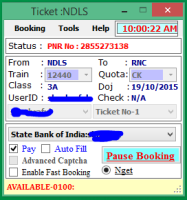 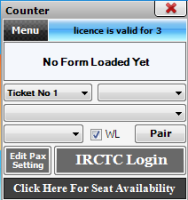 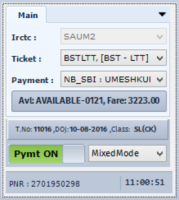 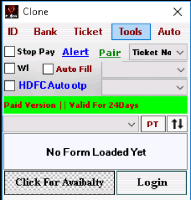 One can get more chances of getting tatkal ticket by using this software. 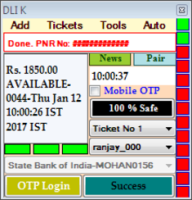 We provide WhiteTs and Tbrand software.both this softwares are Original and fastest processing.We also provide full support to our customers. 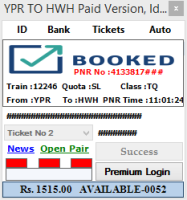 We also provide Online Mobile,Dth,datacard Recharges, Bus,Flight,Hotel Booking and Money Transfer services. 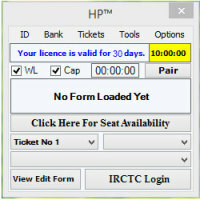 We appoint Retailers,Distributors and Master Franchisee.Commision is opertorwise. 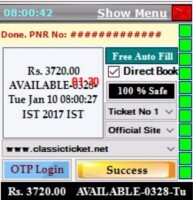 you can also whatsapp us at 9960754787.